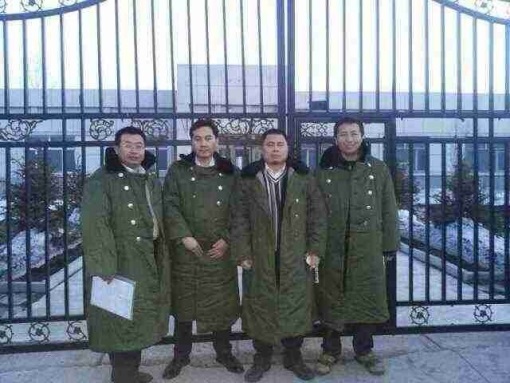 On March 21, 2014, four rights defense lawyers, Jiang Tianyong (江天勇), Tang Jitian (唐吉田), Wang Cheng (王成) , and Zhang Junjie (张俊杰), as well as an unknown number of citizens were detained by police authorities in Jiansanjiang, Heilongjiang Province (黑龙江省建三江). Their detention took place one day after they visited a "legal education base" at Qinglongshan Farm (青龙山农场), which they believe to be a black jail where the citizens’ relatives are being unlawfully detained. Two of the four detained lawyers, Jiang Tianyong and Tang Jitian, have been put under a 15-day administrative detention (March 22-April 6) by the Nongken Public Security Bureau in Jiansanjiang (建三江农垦公安局) for "engaging in the activities of an evil cult to harm society" (利用邪教活动危害社会). Sources told Human Rights in China that, after information of the detention became public, many lawyers and dozens of activists from different parts of the country arrived in Jiansanjiang to press the authorities to release the lawyers and citizens taken into custody on March 21. 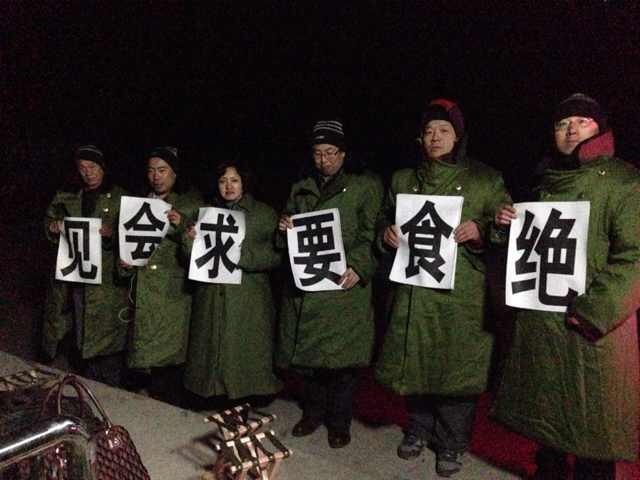 Several of the visiting lawyers—including Li Jinxing (李金星), known online as Wu Lei (伍雷); Zhang Lei (张磊); Hu Guiyun (胡贵云); and Jiang Yuanmin (蒋援民)—began a hunger strike in the afternoon of March 25 to protest the authorities’ refusal to let the lawyers see the detainees who are held at the Qixing Detention Center (七星拘留所). The hunger strikers camped outside the detention center through that night—when snow fell and temperatures dipped below freezing— into the following day. Latest reports from those on the scene indicate that, at a little after 9:00 p.m. on March 26, local time, police intercepted 19 individuals, including lawyers, who were on their way back to their hotels and took them in for questioning. These individuals were later released. It is unclear, at the time of this bulletin’s issuance, whether the hunger strike is still continuing. Other lawyers who have come to Jiansanjiang include Cai Ying (蔡瑛), Ge Wenxiu (葛文秀), and Xi Xiangdong (袭祥栋). The Chinese Human Rights Lawyers Group has issued a statement demanding the immediate release of the four lawyers and individuals detained on March 21 and an investigation of alleged black jails in Jiansanjiang. HRIC calls upon the international community to send a strong message of support for the lawyers under attack in China—including those detained in Heilongjiang and those who are pressing for their release. We urge EU authorities to express concern about these attacks on defenders, and specifically these cases with President Xi Jinping during his visit to Brussels this month.